In case you missed it, we're giving away another pair of that ends on 6/17. This one is also open to US residents only, but it ends on 6/20, so you have a few extra days to pickup dad a present.Good luck. Our affordable bed sheets are made from a breathable, high performance athletic grade SMART fabric that is great for hot sleepers due to its thermal control and moisture wicking properties. In addition, the ultra soft brushed finish provides a softness level that parallels 1500 thread count cotton but without the shrinkage, wrinkles and pilling. We thrive on being a quality company with a quality product and going the extra mile for our customers. 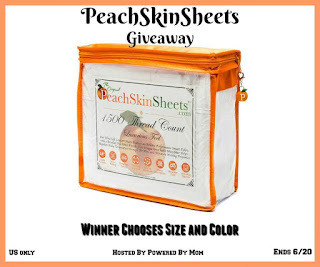 PeachSkinSheets has a color to go with every decor! You can order sample swatches to compare the colors before ordering your sheets. Go here and see what Powered By Mom writer, Beth thought of her luxurious Light Mocha colored sheets! 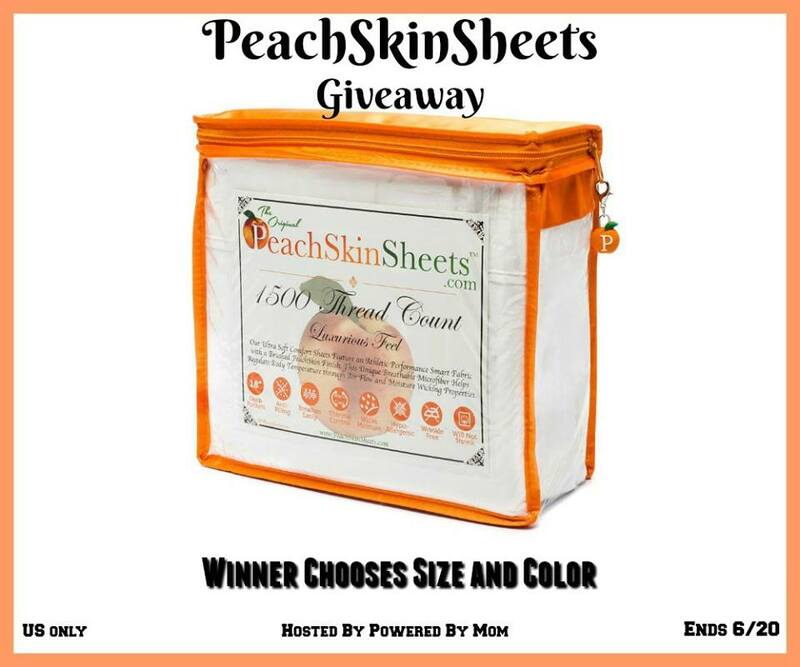 One lucky person will receive their choice of Super Luxurious PeachSkinSheets! Come back daily to increase your chances of winning! This fantastic giveaway ends at 11:59 est on 6/20/17! I could use a good pair of sheets. I only have two sets. I'd love to have the deep crimson red set. I like that it's wrinkle free and love the color Beach Blue.